The current fountain pen market can be driven to a large degree by hype, with new or “limited edition” pens selling quickly, only to have sales peter out as the novelty wears off and users figure out that maybe those “next big thing” pens aren’t the best for actual daily use. I’ve been as guilty of this as anyone, as some of what I consider to be the best fountain pens in my collection have unfortunately fallen by the wayside. 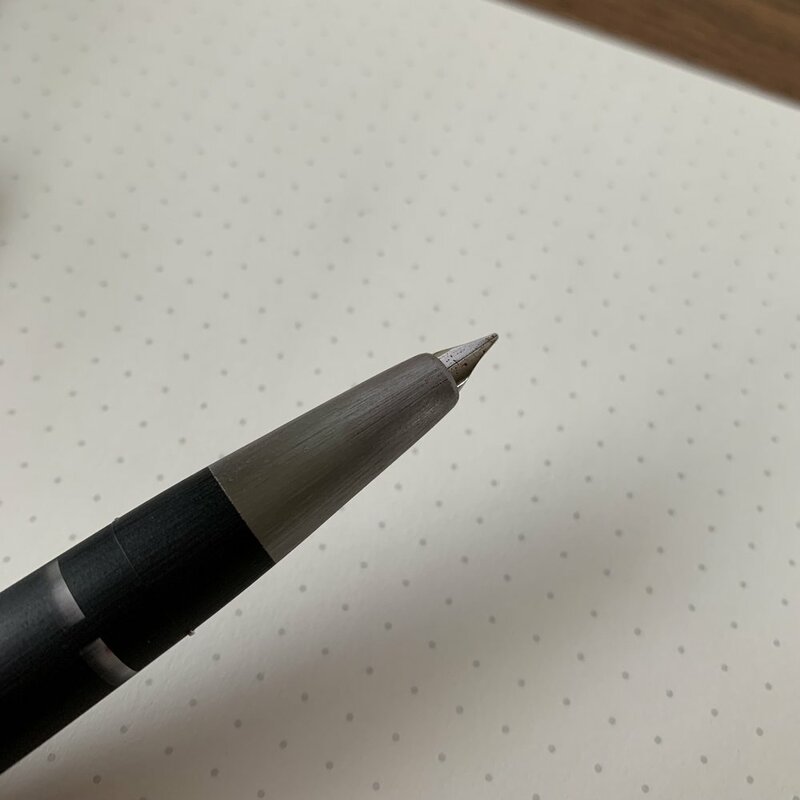 Today I’ll take a look at three pens that have been around for a while, but don’t necessarily get a lot of attention on pen blogs and websites and social media. That’s unfortunate because all three are exceptional, well-balanced writing instruments that are generally reliable “out of the box” and available at most pen retailers. I’m talking about the Pilot Custom 74, the Pilot Custom Heritage 92, and, yes, the Lamy 2000. 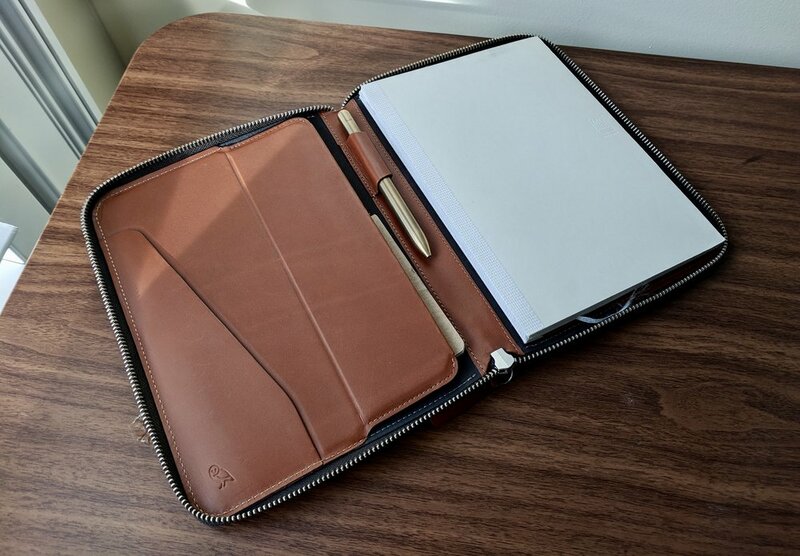 You can read my full write-up on the Pilot Custom 74 here. Pilot Custom 74. At the top of my list of pens that deserve more attention is the Pilot Custom 74. We did end up selling a handful of these pens in Baltimore, and these colorful demonstrators are what I consider to be one of the better bargains on the market. For $160, which is rapidly becoming the price point for many steel-nib pens, you get a sweet 14k Pilot rhodium-plated nib, paired with Pilot’s high-capacity pump converter, the CON-70. You can also use Pilot’s cartridges if you prefer the convenience, and they hold a ton of ink and last forever. The rhodium trim on this pen nicely complements the jewel-like acrylics. I own the blue version, and Violet, Orange, Smoke, and Clear versions are also available, along with two limited editions arriving in the coming months. Stay tuned! 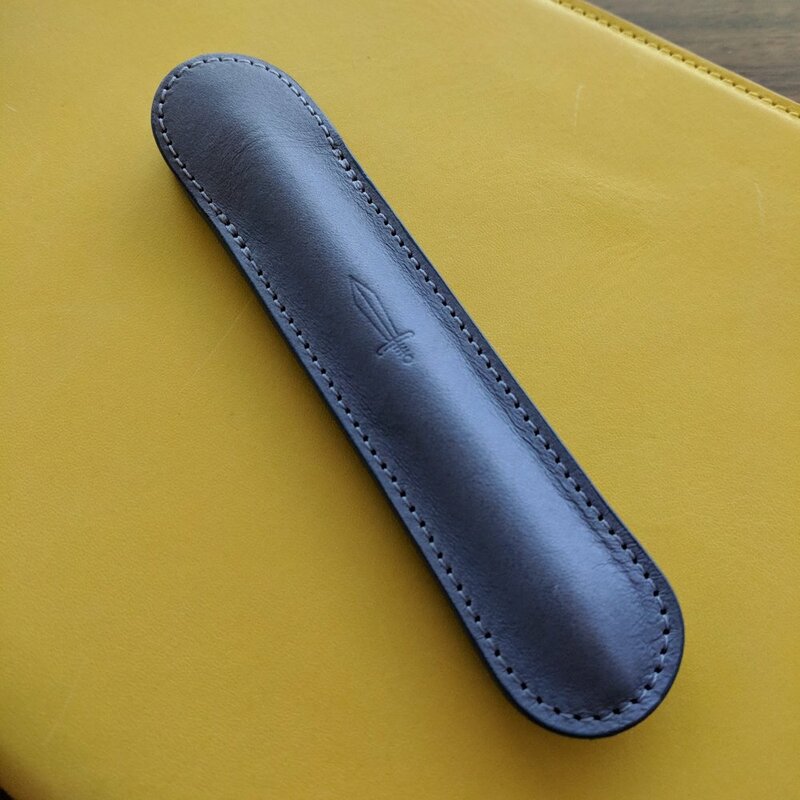 I’ve previously written a full review of the Custom Heritage, but the orange acrylic version has become somewhat more difficult to find, even online. Pilot Custom Heritage 92. Sitting at a slightly higher price point than the Custom 74 is the Custom Heritage 92, which runs $220 and pairs the same 14k nib from the Custom 74 with an integrated piston filler. One of the main reasons that I love Pilot pens is the mix of quality and price - with the exception of the Lamy 2000 (discussed below), it’s rare that you will find a quality piston-filling fountain pen with a gold nib for under $300. The main drawback to the Custom Heritage is the fact that it’s only available in a single color. At one point Pilot made this pen for the Japanese market in orange, blue, and smoke as well, with the different colors being readily available online, but those appear to be phased out and are not as readily available as they once were. I recently saw someone trying to sell the orange version for close to $1,000, which is silly. Most people won’t notice that the Lamy 2000 fountain pen isn’t a ballpoint or a rollerball. So what prompted this post? At last week’s Baltimore Pen Show, a handful of people came by the Vanness Pens table and described to me what they were looking for. In a few instances, the Pilots would have made a perfect match but didn’t get any consideration at all. I sensed a real hesitation to give these pens a chance, whether because they were slightly more expensive than steel-nib options that customers ended up purchasing, or simply because some people hadn’t heard of these pens before or hadn’t seen them online. Don’t get me wrong - if a pen doesn’t speak to you, then don’t spend your money on it. But one of my resolutions for this year was to shift the focus of the blog from merely following market trends back to highlighting those products that I love and believe will serve readers well over the long term. Sometimes the best option isn’t the newer, shinier release - it’s the old standard that’s been around for many years, for good reason, and you owe it to yourself as a user and enthusiast to give these pens a chance. Six “Workhorse Pens”, from left: Pilot Custom 74, Pilot Custom Heritage 92, Lamy 2000, Montblanc 146 Ultra Black, Lamy Safari, and Faber-Castell e-Motion Pure Black. Disclaimer: This post contains links to paid sponsors and affiliates. 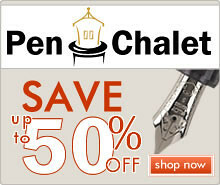 I purchased the pens featured in this review with my own funds, for review purposes. Most of my year-end 2018 acquisitions: 12+ pens out the door, five in. Buy Nicer Pens. Or maybe it’s better to say “Buy the pens that I want, rather than what I think I’m expected to review.” There are so many pen blogs and websites out there right now, that I shouldn’t feel like I have an obligation to chase and cover every major release. If it doesn’t interest me, someone else will pick it up. (Example: I suspected that I might dislike the Lamy Aion, but felt like I was “duty bound” to give it a shot. I should have passed.) The time and money saved already has funded some absolutely awesome acquisitions that I’m truly excited about, and I can’t wait to get reviews up on the site. Attend Different Pen Shows. The past couple of years, I feel like I’ve been in a bit of a Pen Show rut. I used to get really excited about attending the same group of shows, but in terms of pens (not people) it’s begun to feel like more of the same. 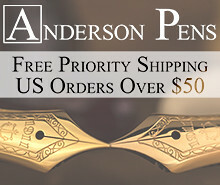 The truly exciting releases are becoming a bit sparse, the price of decent vintage (not to mention near-vintage, past limited editions, and discontinued brands like Omas) is starting to approach what I consider absurdly overpriced, and my interests are shifting a bit towards pens and brands that aren’t very well-represented at most pen shows. I still plan to attend a few, but I’m going to target shows I haven’t visited before, maybe something on the West Coast, or even internationally. Acquire WAY Less. As I mentioned above, I’m moving towards less stuff, not more, and even though I’ve gone a bit wild with my pen purchases over the last month or so, new pens coming in are vastly outnumbered (and funded) by pens that I’ve gotten rid of. It feels great to be able to see the surface of my desk again, and once I finish shipping the last load of giveaway items (today, hopefully), my office floor will even be clean. I plan to continue holding more sales and giveaways throughout the year, as I fine tune my personal collection and try to avoid holding on to anything that passes through for review purposes. So goodbye 2018, and I’m looking forward to what the new year has to offer! If you have any suggestions about content you’d like to see on the blog (particularly something you may have enjoyed in the past but haven’t seen in a while) drop me a line through the “Contact Me” link at the top, or e-mail me at Joe (at) gentlemanstationer.com. This year’s favorite acquisitions, from left: Montblanc Le Petit Prince Classique Rollerball; Platinum 3776 Oshino Demonstrator; Pelikan M800 Stone Garden; Conway Stewart Model 100; Pelikan M120 Iconic Blue. Every year at the end of December I take some time off to recap the year, and talk a little about trends: what I like, what I don’t like, and what I want to see in the future. All of these observations are, of course, my own personal opinion, and shouldn’t be taken as anything more. Conway Stewart Model 100. Technically, I purchased this pen in late 2017 but it didn’t get any use until 2018. As I discussed in my recent review, this pen hits every high point in terms of what I look for in a high-end fountain pen: classic, vintage-inspired design, quality construction, a well-tuned nib out of the box, and a fair price point. Pelikan M800 Stone Garden. Pelikan’s more modern turn in recent years to styles like the Ocean Swirl and Vibrant Blue had me a bit concerned, because while those were beautiful pens in their own way, it seems like Pelikan was moving towards a trendier look that I was glad to see balanced by 2017’s Renaissance Brown and this year’s Stone Garden, which I couldn’t pass up. Montblanc Petite Prince Classique Rollerball. I surprised myself over the past year with how much I used rollerballs - a big shift from years past. Montblanc makes my favorite rollerball refill, striking what’s (to me) the perfect combination of smoothness, wetness, and line width, even in their medium tips. The Petit Prince theme also has special meaning to me. Platinum 3776 Oshino. I’ve really come to appreciate Platinum over the past year, especially how they manage to innovate in design and materials without sacrificing their heritage and quality. The Oshino is one of the clearest demonstrator’s I’ve used, and this year saw Platinum continue to experiment with texture on the 3776, with the Kumpoo (“Balmy Breeze”) edition that wasn’t a “must buy” for me personally, but which I know many people enjoy. Pelikan M120 and M120 Iconic Blue. Yes, back to Pelikan again! I took an initial pass on the M120 when the standard Green/Black version was released, but I had the opportunity to try out the “Iconic Blue” version during a pen club meet-up, and realized that this pen ticks a lot of the same boxes as the Conway Stewart discussed above. The stainless steel EF nib is an exceptional writer, and unlike most Pelikan nibs, writes true to size. It will be interesting to see whether Opus 88 continues their growth and expansion into the U.S. market in 2019. 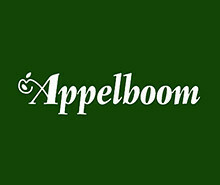 Well-Conceptualized Brands. At various points last year I talked about Kanilea Pen Company and how they impressed me with the coherence of their brand identity. They picked a theme (their love for Hawaii) and stuck with it, releasing a small number of well-executed pens that all adhered to the same level of quality and consistency. This year’s addition, the Hanauma Bay, was a no-brainer acquisition at the D.C. Pen Show. On the ink side of things, Colorverse has done something similar, releasing three “seasons” of space-themed inks that blew everyone away with the level of attention paid to detail. As the year went on, however, I feel like Colorverse has drifted off target a bit. 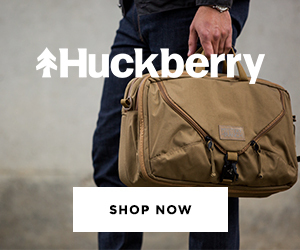 I’m not sure I understand how their latest “Wisdom of Trees” fits into the overall scheme of the brand. Innovation at the Mid-tier Price Point. Here I’m primarily thinking about Opus 88 and their line of Japanese-style eyedroppers. Opus 88 targeted a somewhat neglected price point (the $50-100 range) and positioned itself as a legitimate go-to option for a reasonably priced workhorse pen. The high-capacity Japanese-style eyedropper mechanism is something previously only available in the ultra high-end market segment, from manufacturers such as Danitrio. From what I’ve seen teased online, Opus 88 has some new designs in the works. Return to Classic, Vintage-Inspired Design. 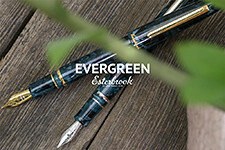 I won’t say too much more about this one, but in addition to some great special and limited editions of classic pens from established brands (discussed above), 2018 saw the relaunch of Esterbrook in a new format that paid better homage to the brand’s heritage. The M1 adapter allows Esterbrook enthusiasts to use their collections of vintage Esterbrook nibs in the new pen bodies. Continued Creativity with Materials. Jonathan Brooks continues to do what he does best - working with companies and retailers on custom acrylics and other materials. 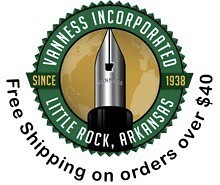 Just take a look at what he’s been able to do in collaboration with Kanilea Pen Company and stores like Vanness Pens and their 80th Anniversary Special Edition. Emerging Nibmeisters and Penmakers. 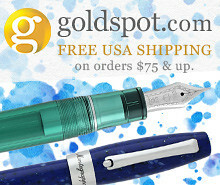 A new generation of fountain pen enthusiasts also sparks a new generation of retailers, nib workers/specialists, repair people, and other service providers. Dan Smith (The Nibsmith) and Mark Bacas both continue to gain solid followings with their nib work, with Dan expanding his retail services as well. Ralph Reyes of Regalia Writing Labs also has something special going with his absolutely crazy nib modifications. My 2018 “Tier One” Pens: Consolidation of the collection is a work in progress. Originality Beyond Different Colors. I want to see more than companies putting out the same model of pen in every color imaginable. I can be a fan of special editions, but it needs to be “special.” I’m getting a little bored with the rotation of Lamy AL-Stars and Safaris in various shades of neon, and even the Pelikan M205 “Gemstone” releases feel a little tired (though I did love this year’s Olivine). Aurora has done a decent job of mixing things up with their limited edition 88s, such as this year’s “Minerali” demonstrators and the “Sigaro Blu” edition, two pens I finally picked up during year-end clearance sales. Sure, it’s the same base model of pen, but Aurora manages to do just enough to keep things interesting with unique design schemes and materials. Moving On From the “Minimalist Pen”. 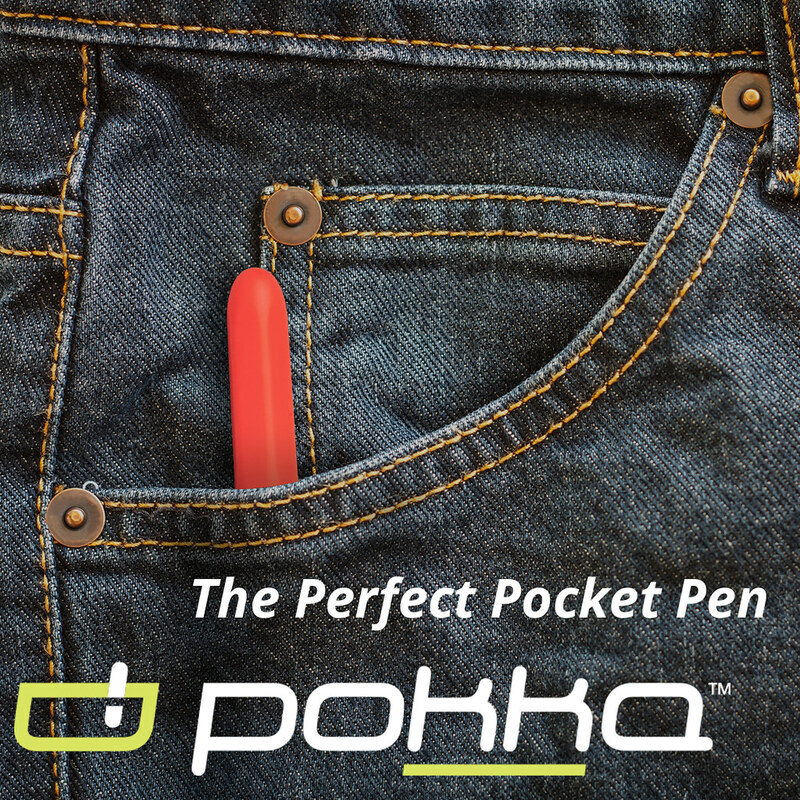 Please, no more “minimalist pen/pencil” Kickstarter projects. This “thing” has been done. I plan to pass on reviewing these types of projects from here on out because I want to refocus on things that are new and exciting. Consolidation in Ink Lines. Don’t get me wrong, I absolutely love the newfound variety of ink on the market, but has it swung too far in the other direction? With the proliferation of ink companies, it sometimes seems that they are racing to outdo each other through volume, including by introducing “new” colors that really aren’t that different than other inks in their current lineup. One of the reasons that I’ve basically stopped buying ink is because I’ve purchased so many bottles that ended up being identical to inks I already owned - including some made by the same manufacturer! Fewer Acquisitions. Building on the themes of “less grab ‘em all” and “consolidation” that I talked about above, one of my personal goals for this upcoming year is to acquire fewer things. I’ve been on a downward trend in recent years - my personal collection is much smaller than it has been in the past (it almost fits in two pen cases), and I can’t recall a year that I’ve purchased less ink. I sometimes feel that I let myself get caught up in the “collect every color of everything” mentality that manufacturers have encouraged, and I want to work against that by focusing a bit less on rushing to review/preview every new release, and providing more in-depth content on what I find interesting and really enjoy using day-to-day. More Paying-It-Forward and More Giveaways! This one’s much more of a “personal resolution” than something I’d like to see from others. As a “first step”, I’m holding a massive 2018 year-end giveaway. Details on prizes and how to enter here. You definitely don’t want to miss this one! Thanks for a great 2018, and I’m looking forward to what 2019 has in store. Things might be a little quiet around here until after the first of the year, but I’ll hit the ground running in January!